Alter Luxury is a real estate brokerage and design+build firm specializing in upscale real estate and residential remodeling in the Las Vegas valley. With over 140 renovated homes, Alter Luxury has established itself as a leader in home remodeling in the Las Vegas area. We work with investor groups to acquire residential homes, commercial buildings, and non-traditional real estate, as well. Our remodeled houses can be seen on HGTV’s new television show, “Flip or Flop Vegas” that features husband and wife team Aubrey & Bristol Marunde, the owners of Alter Luxury. Aubrey grew up in Milton, Pennsylvania, a small town outside of Philadelphia. Her family has been in the construction business her entire life, allowing her to spend years learning from her father, a general contractor for over 30 years. At the age of 14 Aubrey was a gymnastics instructor, and by 19 she was the owner of a cheerleading gym. In 2001 she accepted a cheerleading scholarship from the University of Nevada Las Vegas (UNLV) to study Marketing. Over the last 15 years, Aubrey has been able to refine her design process and develop a distinctive style that she calls “Vegas Glam”. Aubrey has been a licensed real estate agent in Nevada since 2006 and has many satisfied real estate and design clients. Bristol was born in Fairbanks, Alaska and grew up in an Air Force family that took him to Spokane, Las Vegas, and Sequim, Washington. He worked his way through school painting houses, building fireplaces, and installing garage doors, skills that would serve him well for his future in home renovation. Bristol graduated from Washington State University with a degree in History. His professional mixed martial arts career began in Atlantic City in 2006, and he has 18 victories in 28 fights. In 2011, Bristol was selected for UFC’s television show The Ultimate Fighter (TUF). Bristol has promoted over 30 fights in the Pacific Northwest through his fight promotion company, ReignFC. Aubrey & Bristol Marunde are the owners of Alter Luxury, a real estate brokerage and design+build firm in Henderson, Nevada, and they are the stars of HGTV’s hit home renovation television show, Flip or Flop Vegas. Together, they renovated their first house in 2009, and have since completed over 140 homes in Nevada and Washington. When Aubrey and Bristol are not renovating houses, designing their own line of home furnishing products, redesigning kitchens for their clients, promoting fights in the Pacific Northwest, selling luxury homes, filming the new season of Flip or Flop Vegas on HGTV, or training for the next MMA fight, they can probably be found in the wilderness, camping with their two young boys and recharging their batteries. Robinson’s real estate career in Las Vegas began in 2003 with national homebuilder Pulte/Del Webb at Sun City Anthem, the #1 selling community in the hottest real estate market in the country. His career continued with two other Fortune 500 homebuilders, as well as launching a $600 million high-rise condo tower, and restarting a bankrupted mid-rise condo community in Summerlin. Charlie Robinson is a co-owner of Game On Nation, a company specializing in media training for professional athletes and corporations. Past and present clients include Eli Manning, Carmelo Anthony, Cam Newton, Sidney Crosby, Pete Sampras, Alex Smith, and Paula Creamer, as well as corporate clients that include the NFL, NBA, U.S. Olympics, ESPN, Under Armour, Gatorade, Pittsburgh Pirates, Dallas Cowboys, Oakland Raiders, Jacksonville Jaguars and the New York Yankees. Robinson holds real estate broker’s licenses in both Nevada and California. He has a B.A. in Marketing from the University of Southern California and is a member of Mensa. Dusty Feazell has a vast working knowledge of real estate and property management and is passionate about helping his property owners and tenants. Dusty has been growing in the industry since early 2000 and has worked intently with multi-family communities of varying sizes, the largest having been 799 units. 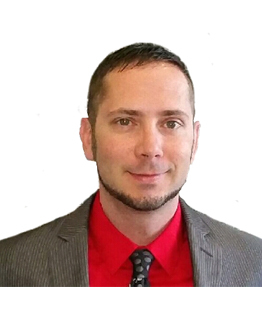 Dusty has his real estate license in Texas, Utah, and Nevada and works with investors to maximize their ROI (return on investment) on their rental/investment properties. Dusty has grown rapidly in his real estate and property management career, advancing from an Assistant Community Manager to a Property Manager to ultimately owning his own property management company. He also acted as a Marketing Director in Austin TX for several years and is incredibly well-versed in social media, reaching his audience, and adapting to new technology. His huge jump from being an assistant manager to owning his own Keyrenter Las Vegas Property Management has been made possible by his ability to learn quickly, his attention to detail, and his dedication to producing timely and outstanding customer service to everyone he works with no matter what. The last 3 years Dusty has been a business developer for the Keyrenter Property Management franchise. This has given Dusty a finger on the pulse in the real estate market throughout the US. As the owner of Keyrenter Las Vegas, he feels excited and passionate about building up one of the hottest trending markets in the country. 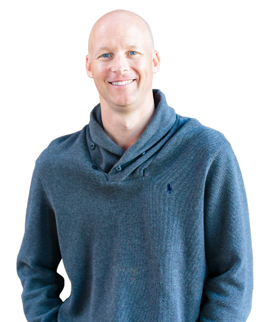 His business is based on more than 80 percent of referrals from satisfied clients. Most importantly, providing the best service to buyers, sellers, owners, tenants, and team members is a core value for his company. He knows this is the only way to build a successful business in order to earn trust, referrals, and repeat business. Dusty looks forward to serving his community to the fullest and growing the best property management company in Las Vegas, Nevada.